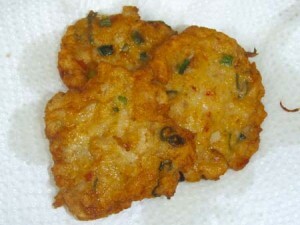 Fish Pakora recipe by Alia Ahmed at DesiRecipes.com. Add salt , pepper, corriander, crushed red pepper, zeera and potatoes in boiled fish ad mix well. Make small balls of this mixture, dip in well beaten egg and then deep fry it. Delicious Fish pakoras are ready to be served. Serve hot with any chutney you like. Enjoy!!! !